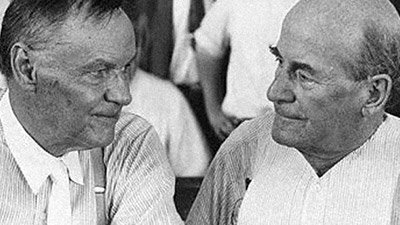 Inherit the Wind has probably done more to undermine biblical authority and accuracy than any other film in history. Interestingly, in the top 13 of these shocking films there were three about the life of Christ: the blasphemous The Last Temptation of Christ (1988), Mel Gibson’s intense The Passion of the Christ (2004), and the current The Da Vinci Code (which claims that Christ had children through Mary Magdalene, and that the female descendants were prevented from taking their rightful place to lead the Catholic Church—see our review at The Da Vinci Code . . . The Movie, the Myth and What to Do about It). Read this informative handbook complete with historical pictures to get the real facts about the Scopes trial. Find out more. Inherit the Wind has probably done more to undermine biblical authority and accuracy than any other film in history (although history may judge the new Da Vinci Code movie to be its rival one day). 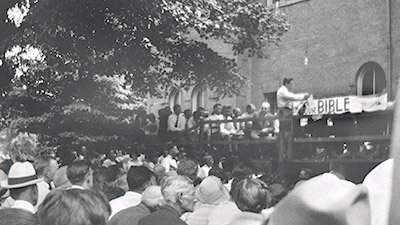 For a fascinating look at the 1925 trial (and the corresponding 1960 film) and its impact on America, read Dr. Menton’s eye-opening article at An “Expected” Slant? 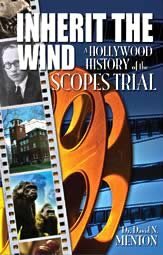 or purchase his new 32-page handbook Inherit the Wind—A Hollywood History of the Scopes Trial. 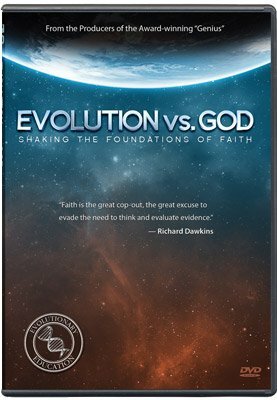 You’ll see how this court battle and the films/plays inspired by it have led so many people to believe that evolution is true and that the account of origins in Genesis is false—and that Christians can’t adequately defend their faith. In fact, take this quiz and see if you have been influenced by Hollywood’s portrayal of this major court case. Your test results might be a real shock. For example, the 2002 book The Movies That Changed Us by Nick Clooney. Of course, from time to time, film and TV remakes are made about the life of Christ, but these are generally respectful of the gospel accounts of His ministry.